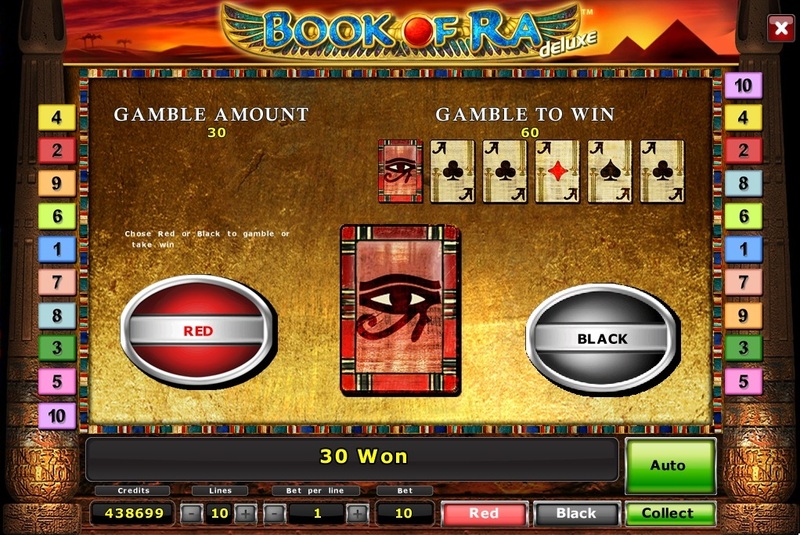 Book of Ra deluxe is a 10 line, 5 reel video slot with the possibility of doubling your winnings in the risk game and 10 free spins. 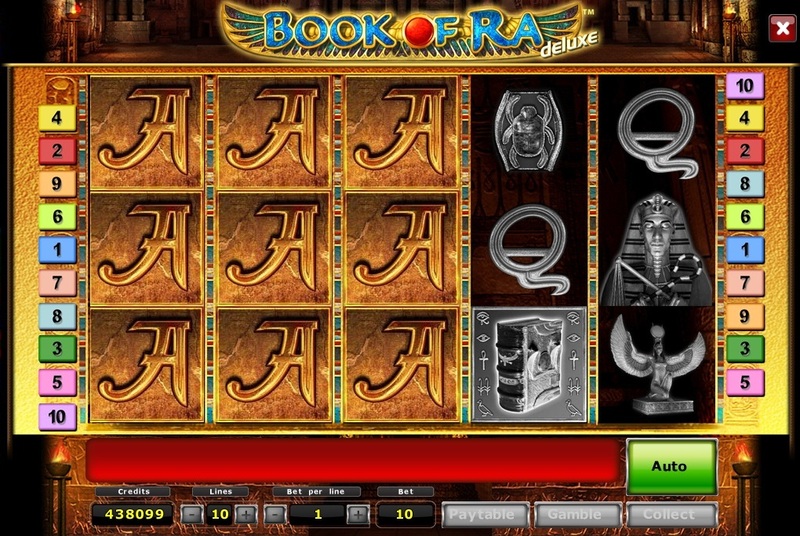 Book symbol replaces any characters in a winning combination. 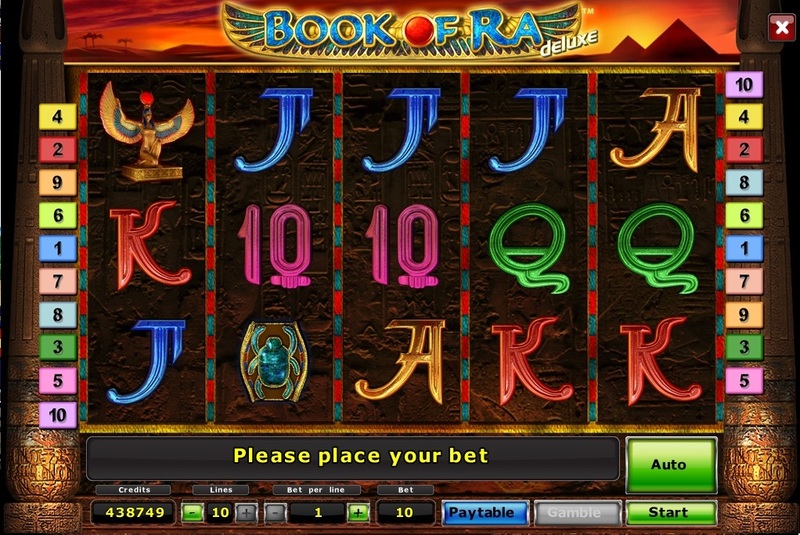 At loss of 3-5 characters "book" on any reels starts to select a special character that will be deployed on the entire reel with free spins.